Doug Woodring of Project Kaisei appeared on a special issue of Open Water Wednesday where he explained about the tremendous amount of plastic garbage in our oceans - and what he is doing to help address the growing problem. Doug established a group of like-minded individuals and researched the massive – but largely unseen and unreported – problem of plastics in our oceans. Doug is a creative aquapreneur who is also a race director of ocean swims and marathon swims and relays in Hong Kong. But he devotes his time and considerable talents to raise awareness – and offer solutions – to this enormous problem of plastics in our oceans. Listeners will be both saddened and surprised with Doug's report: saddened by the extent of the estimated problem, yet pleasantly surprised by Project Kaisei’s proposed solutions including the Plastic Disclosure Project and the Oceanic Big 5. As Doug says, "This is a big wake-up call for all of us." 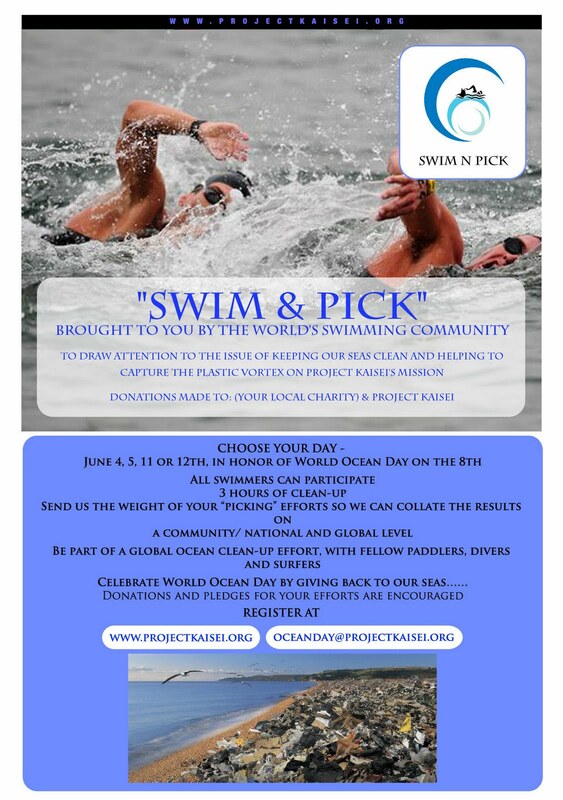 One of his many innovative awareness campaigns include Swim & Pick where swimmers can participate in beach clean-ups on either June 4th, 5th, 11th or 12th in honor of World Ocean Day on June 8th. Project Kaisei will collate the results of everyone's efforts. Interested swimmers can register at Project Kaisei here.